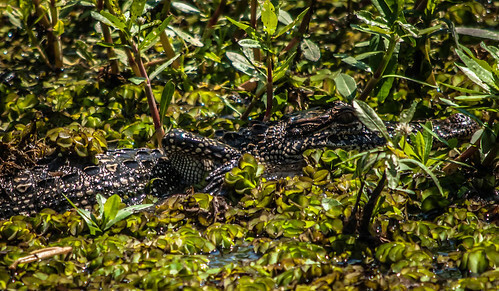 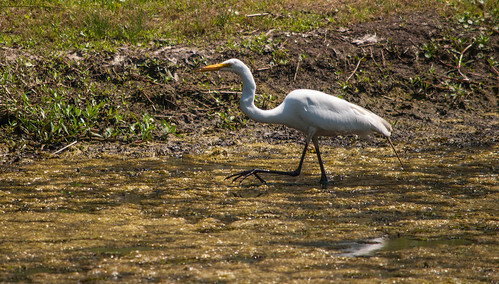 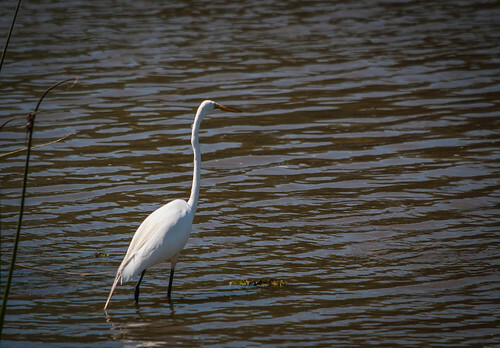 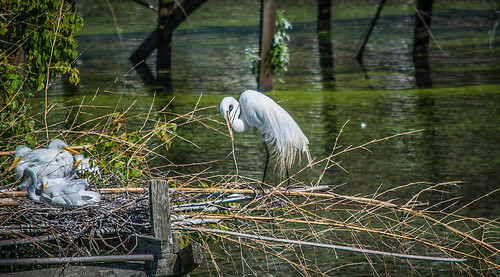 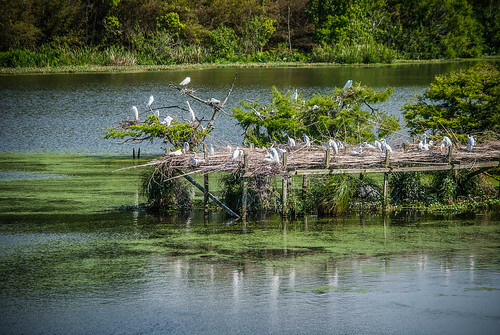 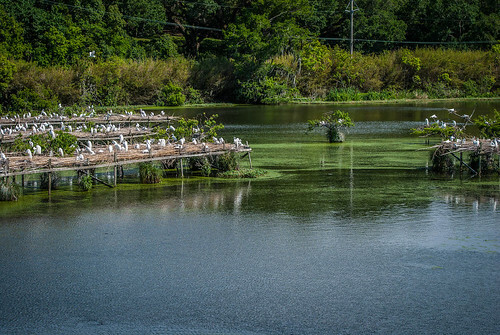 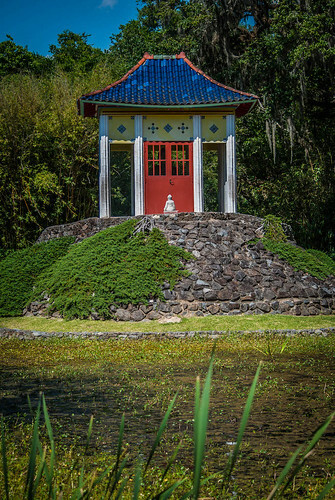 In addition to being the home of Tabasco, Avery Island, LA is also an egret sanctuary. 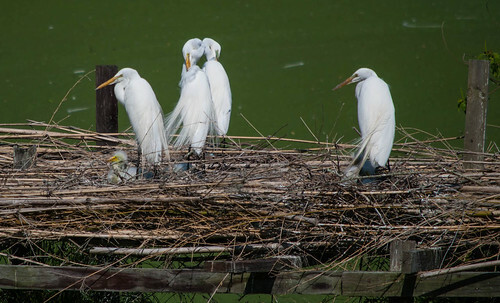 Each Spring a colony of snowy egrets nests in a part of the island specifically designed for them. 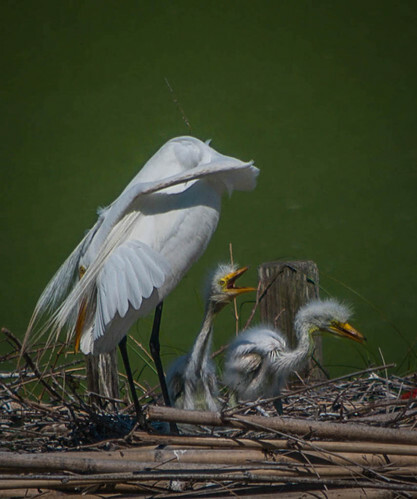 There, during this time of the year, you can see the egret babies and their mothers feeding and learning to fly on their own before the next migration. 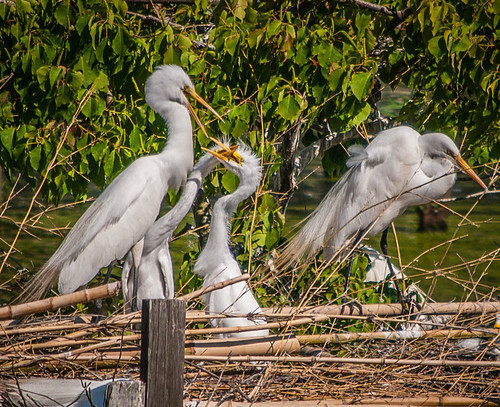 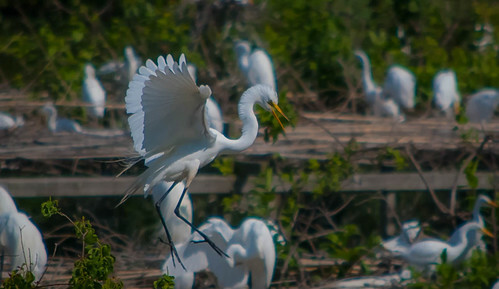 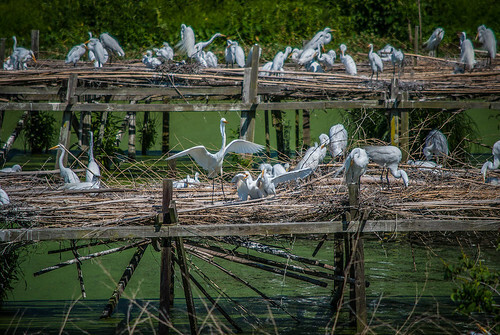 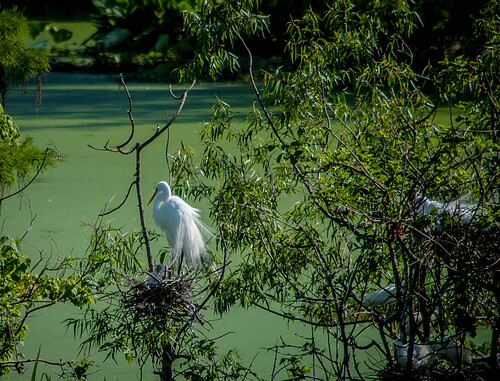 The Garden tour, a self-driving tour around the gardens of Aviary Island offers you the chance to park and take a short walk to an observation platform where you have a great view on the wetlands that these snowy egrets will call home.